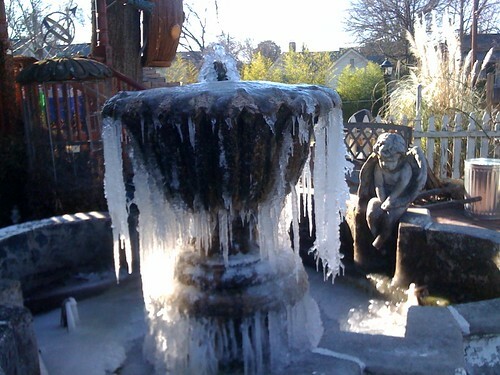 With an overnight low around 19 degrees this morning in Hot-lanta, this fountain across the street from Sam’s preschool was a beautiful display of icicles. Sam got a kick out of walking over to check it out before heading into school today. photo.jpg, originally uploaded by jetrotz.